Alright. 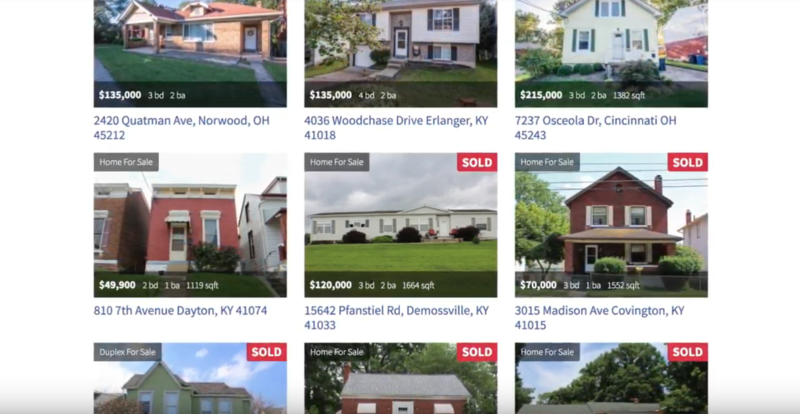 So, what do you do if the cash offer for your house is not enough, but you still need to sell your Cincinnati or Northern Kentucky house fast? That’s what we’re going to talk about in this video. Hey guys! Welcome back. This is Eric Sztanyo with WeBuyNKYHouses.com where we buy houses for cash in Cincinnati and Northern Kentucky. In the last video, we walked through (and you can go check out that video), how exactly do we come to our cash offer. We kind of laid it all out on the table because we pride ourselves as a company of being honest, full of integrity, being upfront and not pulling any punches. We’re not going to twist anybody’s arms behind your back. We understand that if you are trying to sell your house fast for cash, generally you are in a tough situation. There’s a number of reasons thats could be. You could be going through a divorce. It could be that you inherited a house. It could be that you’re sick or behind in payments or you lost your job. Or, maybe you have to move quickly. There are all kinds of reasons why people need to sell their house fast. Our goal is to treat all of our clients with dignity and respect. We’re not coming in trying to strong arm anyone, and we want to give sellers options. That’s what this video is about. So, what’s another option for sellers? We already walked through what the cash offer could be and how we back out the repair costs, fixed costs and profit from the ARV (After Repair Value). That formula gives us the cash offer that we can make for your house. Well, what if that number doesn’t work. Let’s say for example you owe $75,000 on your mortgage and the best cash offer we could make is $70,000. In that scenario, you the seller would need to bring $5,000 to the closing table to sell the house. Ok. Let’s talk about another option which is this. All of those objections are legit, and I get them, but let’s take this example a little bit further and give you another option that might make sense. So, if the cash offer doesn’t work for whatever reason. Let’s say it’s too low and you can’t pay off the mortgage. You need more money. There’s another option besides doing what I just mentioned of getting your house in peak condition where you are trying to sell it for the top of the market. You can also try to sell it for less than market value, and that amount might be higher than the cash offer. Let’s say the ARV is $120,000 for the house, and it needs about $30,000 in repairs. Now, you’re at $90,000. Now, if you sold it for $90k, you still need to pay that real estate agent commission. You still are going to have to go through the inspection period and maybe make a few fixes for the buyers, but let’s just say you net $83,000 after all of that is said and done. You sell it for $90k. You pay about 6% for the real estate agent. That’s $5,400, and you may have a few other expenses. And at the closing table, you net at the closing table $83,00. Ok. Well, the cash offer was $70,000 (or maybe less). The biggest difference is that the cash offer has to make space for those fixed costs as well as the investor’s profit. So, this second option is allowing you to sell your home for less than market value on the MLS with a real estate agent. You’re not going to sell your home for full market value (if the condition is not great), but you might end up netting five, ten or fifteen thousand dollars more than if you had sold it for cash. Now, there are some cons to listing your home on the MLS vs. the cash offer and the biggest one is probably Time. When you sell your house for cash, you can sell it fast. And, you don’t have to do jack squat! We’re going to buy the house in the condition AS-IS. There is not going to be any inspection period negotiating where we say, “oh, you need to fix your sump pump or clean out your gutters.” No. There’s not going to be any of that junk. We come out and see the property. We know its condition and what needs to be repaired. We’re going to buy it for cash and generally we close on the house in a week to two weeks. So, a huge benefit to selling your house for cash is speed. Now, on the flip side, if you list your property on the MLS for less than market value, the benefit is that you may make more money. The downside is that it will take longer because you have to get the house ready. You’re going to want to clean it up, somewhat. You’re going to have to get photos taken. It will be marketed on the MLS. The agent is going to put their sign in the yard. Then, you need to attract an end buyer. It’s probably not going to be an investor. It’s going to be an owner occupant. Then, you have to go through the negotiation process of getting offers. Once you have a signed offer under contract, now you have to go through the inspection period and negotiate that. Then also, the buyer needs to qualify and get approved for a loan and that will easily take 30 days. So, this can often take 2 to 3 to 4 months. It’s going to be a much longer process, but in the end, you might net $5-$10k more. So, it’s just up to you. And so, this is one of the things we do as a company that I think sets us apart from other cash buyers. We give you either option. It’s just a matter of what is more important to you. That’s why if you go to our website and watch the video testimonials of our clients, they speak very highly of us because we’re fair. We’re honest. We’re going to give you the choice and lay out different options for you. We’ll try to give you our opinion of what we would do if we were in your shoes. That’s what we try to do is be fair and honest and help people out. I think you’ll see that from our 5 star reviews on Google and from the video testimonials on our site. We ended up selling it, and he made about $10k on the sale, which ultimately was a $15k swing for him. And, he was VERY happy! 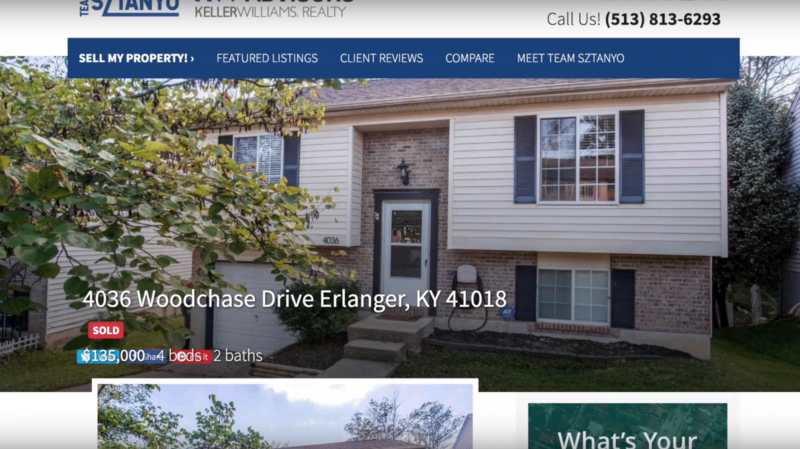 So, that’s what we do at We Buy NKY Houses. More people are learning about us and now, we’re also getting sellers who we bought their house for cash, but they also want to use us as their real estate agent whenever they are ready to buy their next house because we treated them fairly and helped them choose their best possible option. So, what do you do when the cash offer doesn’t work? Hey, you can still list your property on the MLS and get it sold. It’s not going to be the top of the market dollars, but in the end, you might end up netting more in the sale. That’s another option you can do if you need to sell your house fast or at least get your mortgage paid off, which is a BIG issue for a lot of people. I hope this video was helpful! 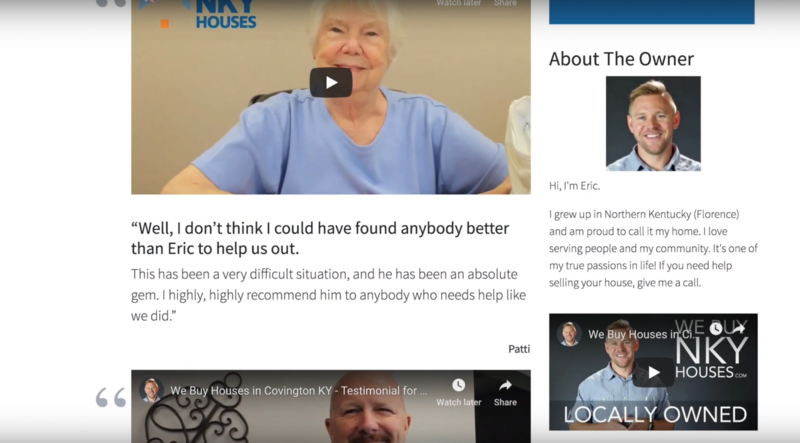 If you need to sell your house in Northern Kentucky or Cincinnati, give us a call. My name is Eric. It’s 859-412-1940 or go to our website at WeBuyNKYHouses.com. You can read our blog, watch our video testimonials. Go ahead and fill out that form. We’ll come out and meet you and get your house sold! Thanks so much for watching. We’ll see you next time.